A quality paint job on the interior of your home is perhaps even more vital than the exterior in some ways. We spend a lot of time inside our homes and shoddy workmanship definitely stands out. You want to be proud of your home, not embarrassed by it. DR Paint knows how to do the job right and is an interior painting expert. With over 30 years’ experience in the residential painting game, Darran Russell of DR Paint knows what he’s doing. Why risk your home on an amateur painter? 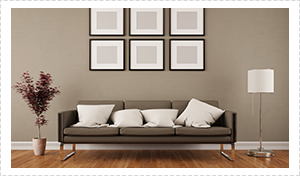 Entrust your interior painting to a seasoned professional. The interior painting can really set the mood of the entire home, so it’s important to choose a colour scheme that works for you and your family. While a feature wall or a particular room might be suited to houses that are bold and vibrant, having the entire interior painted like this can be very overbearing. You want to choose colours that are subtle for the most part, where the interior feels homely and relaxing, inviting and comfortable. Let Doctor Paint prescribe a colour scheme that is just right for you. DR Paint never skimps on this vital part of the interior painting procedure. Without careful preparation the final results just aren’t up to par, and that’s just not an acceptable outcome. With his country upbringing and involvement in the family painting business, Darran is a painter of great ethics and character, and he believes every single painting job should be done right. Preparation is everything when it comes to quality interior painting. While some Brisbane painters out there take short cuts in this process to save money and time, this will never happen with the Doctor on the job. DR Paint never skimps on materials and will always give your interior the coats of paint it needs to get the job done right. The final coat is the finished product and we believe the results should bring a smile of both surprise and satisfaction to the face of the customer. We thrive on a job well done and knowing we have made someone’s day via the work we have performed. Whether it’s doors, walls or ceilings, every part of your interior is meticulously prepared and painted to the highest of standards. 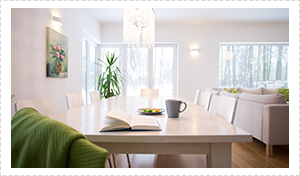 Why Choose DR Paint For Your Interior Painting? Get in touch today by phone or email to discuss your interior painting project and request a free quote. Based on Brisbane’s south side, Doctor Paint will prescribe the best painting solution to suit both your tastes and your budget. Patient satisfaction is always guaranteed.